September 5 - Members of the Scottish Football Association (SFA) are set to travel to Malawi later this year to help train up local adult and youth football coaches as part of the Glasgow 2014 Commonwealth Games legacy programme. Up to 1,000 children and adults will benefit from a series of coaching education and referee development courses in a partnership between the (SFA) and the Football Association of Malawi (FAM). 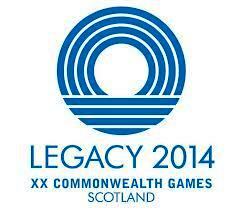 Legacy 2014 aims to use the Games in Glasgow next year to provide a lasting change to communities across Scotland and in specially selected projects abroad, through providing specialist coaching and training, improving facilities and sports provision, as well as creating job opportunities and enhancing business. As part of Legacy 2014, £75,000 ($119,000/€89,000) has been set aside for the project in Malawi which ultimately aims to increase participation in football and help drive up standards of coaching and quality of facilities. "It is our aim that the expertise we have from operating our coach education programme in Scotland will benefit young people in Malawi," said director of football development at the SFA, Jim Fleeting. "Football can be a force for good and coaching is a key part of developing the game. "Like Scotland, there is great passion for football in Malawi. "I'm looking forward to us sharing this love of football and helping communities across Malawi have more opportunities to play the game." Along with benefitting from some top level coaching, participants in the project will also be provided with new football kit and equipment, and the weeklong visit will also see the SFA pilot its "School of Football" programme with a school in Malawi. "Scotland already enjoys a strong relationship with Malawi and I hope that this exciting initiative will strengthen that relationship further," said Malawi's Minister for External Affairs, Humza Yousaf. "This joint coaching programme will foster sporting links between the two countries and its legacy will extend long after the 2014 Commonwealth Games. "A passion for football is one of the many things Scotland and Malawi share and this partnership will give us the opportunity to put that passion to excellent use, by exchanging knowledge and expertise and developing infrastructure for football in schools and communities in Malawi."